Many modern homes own TVs with decent sound quality, but when you long for a truly immersive experience, it’s worth investing in a home theater system. If you think of it like a Broadway play, then the TV is the stage, but the sound system is everything else – story, actors and music. So, the real magic behind the kit is audio, and that’s what you need to get right to create a real home theater system at your house. So, what exactly do you need to consider when looking for a home theater system? If your TV isn’t a 4K HDR, it’s worth thinking about getting a one because they are awesome. Plus, given all the connectivity options built-in, you’ll be set for the future. A smart TV is way easier to connect to components, streaming audio, or video, thanks to the built in Wi-Fi, Bluetooth, and so on. The room you plan to use needs to be carefully thought about. The size, design, and style should be considered, including what size and style of speakers you choose. Technically, bigger is better when it comes to audio quality, but certain brands offer small and medium-sized speakers that seriously kick out, in spite of their size. If the amount of cabling is an issue, look for a system with optional wireless speakers. 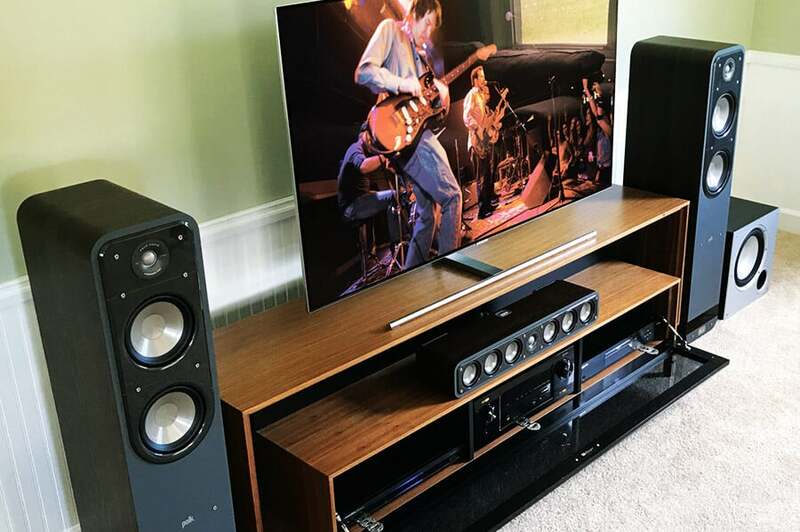 If you have a large room, and you crave a visceral, bone thrumming aural experience with movies and music you should seriously consider buying full-size, full-range speakers, and audio separates with a powerful amplifier instead of a receiver. On the other hand, if your room is small, a small satellite/subwoofer system and a decent mid-priced receiver should be adequate for home theater and music. Room size and volume capability go hand in hand and should be linked to your system’s performance/price ratio. Today’s films boast nearly unlimited soft-to-loud dynamic range. Dialog is mixed to the center channel, surround effects may be ambient or point-sourced, and deep-bass demands can be extreme. Just about every feature film released in the last 20 years has a multichannel soundtrack. What about streaming devices? The right home theater receiver can double as a multi-talented hub for streaming almost anything – audio from your computer, phone, tablet, and from online apps. What’s more, if you have wireless speakers in the house, your receiver can tap into those, too, so you can play your music all around the house. Your system should be easy to set up. A home theater can be a no-brainer, with everything included and easy to put together, or it can be a complete nightmare, so think carefully about what you require. A clear instruction manual is a must, and auto set-up takes the hard work out of setting speaker levels and delay times to suit your room. 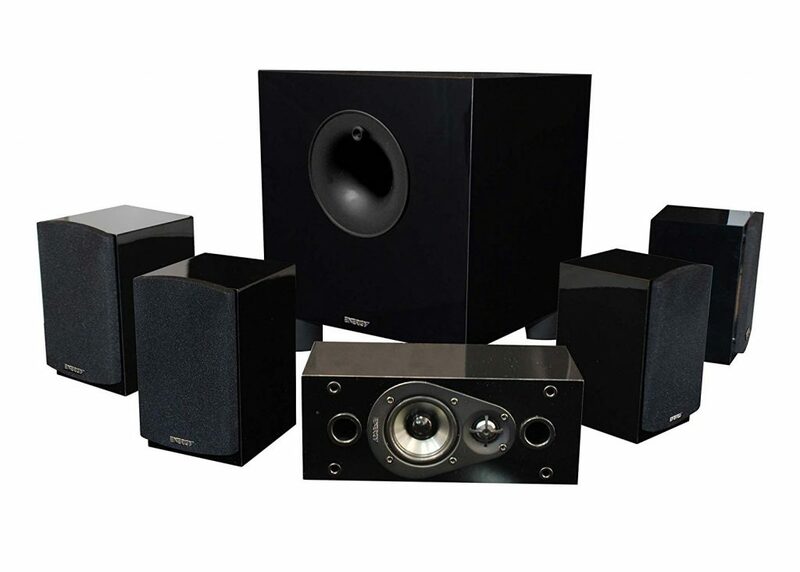 This Energy Home Theater has been well designed with a sleek, contemporary style that would look great in any home. The speakers are reliably solid, and are small enough to hide in bookshelves, and dark corners. Installing this is simple enough, and there are plenty of troubleshooting suggestions, just in case. The manual recommends that users play the system for 50 hours to break it in, however we noticed that even past the break-in period, the sound quality got increasingly better. The speakers produce very crisp and good audio quality, with clear highs and detailed midrange. The deep sound effects, great stereo imaging and clear dialogue felt very movie-theater like. We found that the subwoofer is quite sensitive to its placement, although that is true of most home theater systems. The combination of awesome sound quality and super cool appearance at an implausibly reasonable price, makes it first choice for anyone who loves good sound at home or anywhere. This really is a system-in-a-box – it comes complete with everything including a whole host of speakers, a microphone, and receiver. In fact, we were expecting to find a TV in the oversized box, in fact it was just extremely well padded. It was quick and easy to get up and running. There’s a lot to like about this system, and Yamaha have appeared to put a lot of effort into getting it right. In addition to the included manuals, Yamaha has produced an iOS and Android app called AV Setup Guide that will take you through setting up your system and making the right connections with detailed illustrations. We like the considerate addition of a microphone to assist in setting up the optimum sound properties – it really does make life easier. We couldn’t fault this big brand sound system. It delivers exactly what it promises, and the quality is sure to last for years. This Yamaha’s true strength is its price point and feature set. If you’re on a tight budget, love music streaming, movies and want surround sound that’s better than your TV’s built-in speakers, then this will do you well. This Samsung is an impressive looking system. It’s well designed, well put together, small enough to be unobtrusive but big enough to have serious impact. Clean lines, contemporary styling and a mix of matte and gloss black, it fits neatly into any interior. 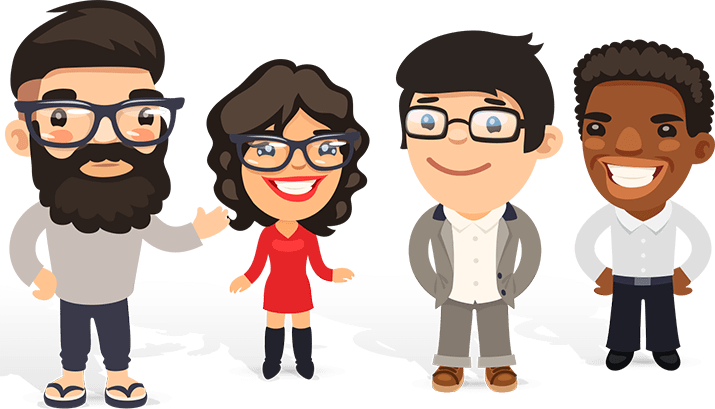 Following the manual is a doddle with Samsung’s helpful color coding, online setup, too, is simple and uses helpful graphics for Wi-Fi and speaker configuration. The operating system is slick, while the attractively designed interface is intuitively laid out and responsive. The audio quality is awesome, just what you’d expect from a company at the top of their game – crisp, clean and with a great bass range. Action scenes sound lively and dynamic, while the subwoofer lends reasonable scale. This has a huge range of features, which, considering the price band, is impressive. The rear speakers could be louder. We played around with the settings, turning them up to the max, which helped. Ultimately the Samsung HT-H5500 is a solid performer that offers great value and as such it deserves a place in our Top 5. This has a state-of-the-art appeal. It’s impressively sturdy, with a comforting weight and balance. The style is cool, slick and hi-tech. Manual open, and off we went. Easy to follow, easy to put together, and easy to adjust balance, the popcorn was soon disappearing! With a dedicated center channel, you’ll never miss a note, and this allowed us to get totally engrossed in the experience – every sound, every sigh, could be heard and understood. Boosting the bass beyond level 15 delivered an underground rumble that literally shook the walls, and nearly blew us out of the windows. Bass lovers will not be disappointed. It all comes down to what you want from a system, and to be honest, there are those with a little more sophistication and adjustability , but none that comes close to this kind of power. The JBL Bar 610 sounds fantastic whether you're watching a movie or listening to music, and the subwoofer delivers some serious power that’s super impressive for the price. Bass fans will love it, but the fact that it’s adjustable means anyone will be able to find a sound that suits their taste. A really great system for the movie/music enthusiast! This is another great offering from tech giants Logitech. 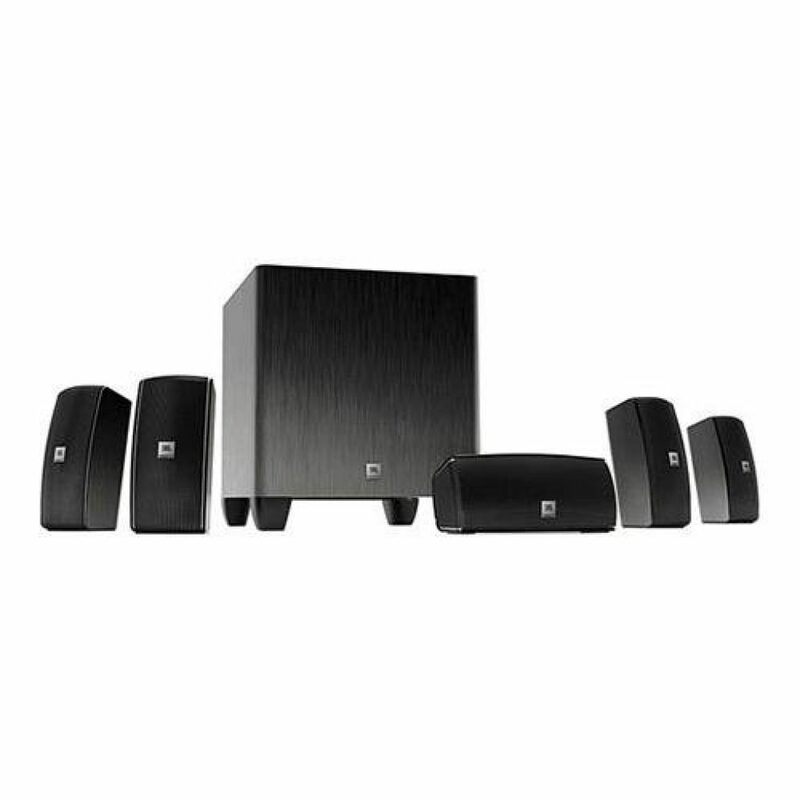 A THX certified home theater system that delivers on sound and is easy to connect to a range of devices. 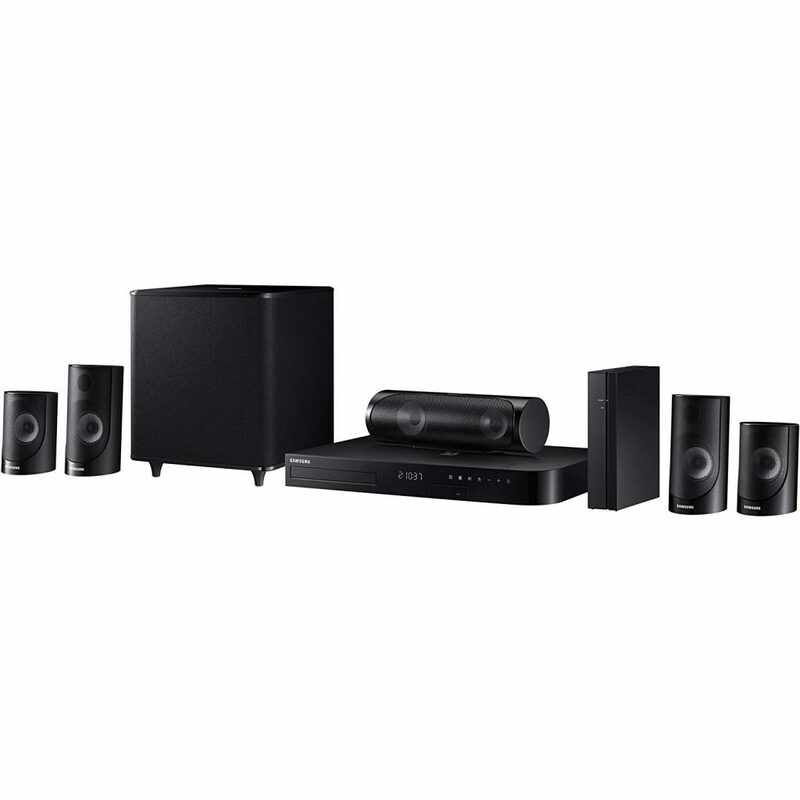 The Logitech unit comes with everything you need to get your home cinema experience. It’s optimized for Dolby Digital and DTS, which is essential for hearing movie sounds the way the studio intended. This system is also very flexible; you can hook it up with up to 6 x devices including a computer/laptop; music player; smart TV; playstation/game consoles, smartphone etc. The wireless remote is straightforward to use while giving just enough customisation options to allow you to tailor your sound. 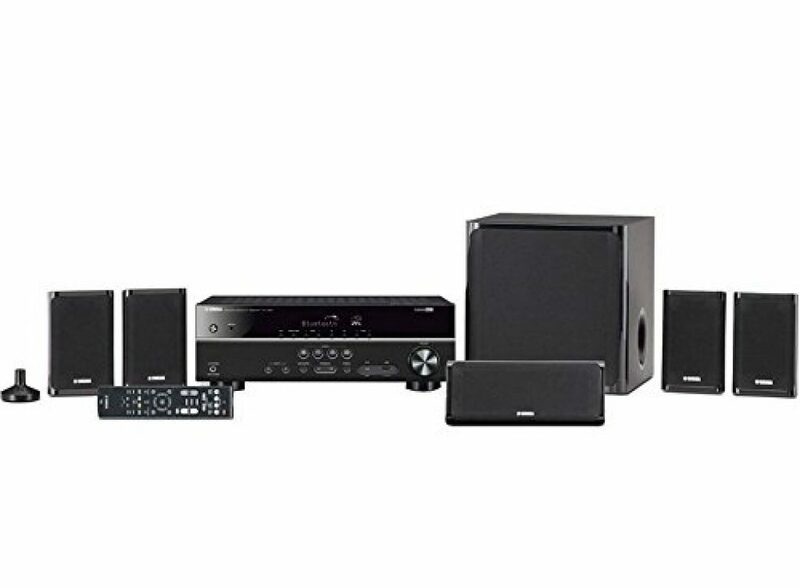 We wish the subwoofer packed a little more power, but if you’re just looking for a nice and simple home theater system, this will certainly do the job. 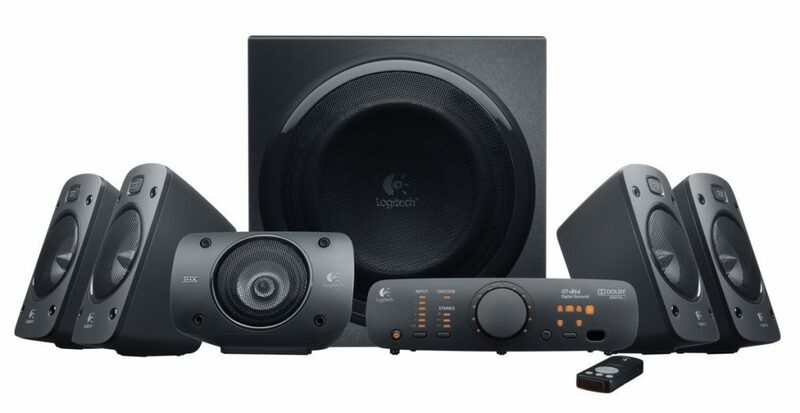 If you're after a reliable, good quality, affordable home theater system, you really can't go wrong with Logitech. In fact some of the features are even more advanced then you'd expect for this kind of home theater system. This one is perfect for movies and for gaming.